FORT LAUDERDALE — The 52nd annual Fort Lauderdale International Boat Show opened this morning to sunny skies and a bright outlook for the future of the marine industry. Exhibitors at this year’s show are up 10 percent from 2010, said Efrem “Skip” Zimbalist III, chairman and chief executive of Active Interest Media, the parent company of Show Management, which produces FLIBS. Organizers had expected a 7 percent increase. Fort Lauderdale Mayor Jack Seiler called the show the city’s Super Bowl, noting that its financial impact is greater than the Super Bowls that have been held in South Florida. “It’s critical to our community,” he said, adding that he believes the marine industry has turned the corner. Speakers this morning represented several segments of the industry. They included Steve Moynihan, founder and president of HMY Yachts; James Currie, director of federal legislative affairs for the National Marine Manufacturers Association; Theo Hooning, secretary general of the Superyacht Builders Association; and Paolo Vitelli, chairman of the Azimut Benetti Group. Vitelli talked about the importance of serving emerging markets such as China, Turkey and Brazil. “We have to work with the world,” he said, and together as an industry to grow boating in those countries and create a boating culture in nations such as China, where none exists. Boats, he said, must be more efficient, and companies must be prepared to service the boats they export. Also, he noted, boatbuilders must be prepared to build boats to meet the specific needs of a region. Different markets want different features. Currie discussed the importance of keeping up with developments in Washington, D.C., on issues ranging from E15 to the reauthorization of the Sport Fish and Boating Safety Trust Fund. Also, he noted the importance of the free trade agreements with Panama, Colombia and South Korea that President Obama recently signed. Although Panama and Colombia are smaller export markets, South Korea, he said, is a “prize market” and provides a great opportunity for exports. 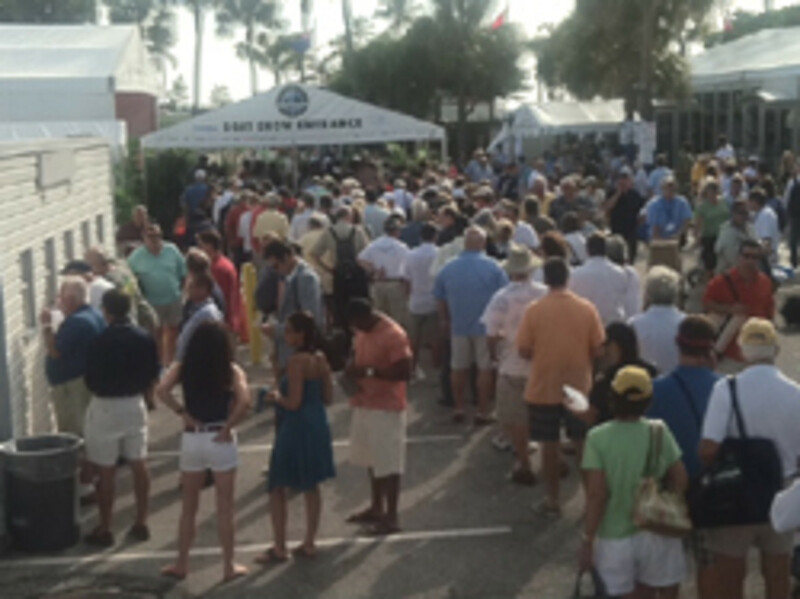 With more than 1,000 exhibitors from around the world, FLIBS 2011 features more than $3 billion worth of boats and marine products. The show runs through Monday.